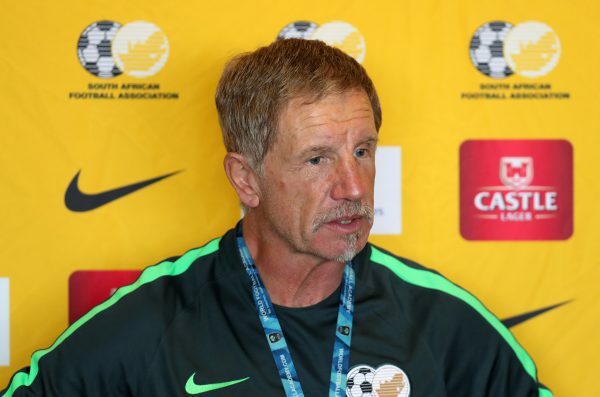 Bafana Bafana head coach Stuart Baxter has named his 22-man squad to take on Libya in a crucial Africa Cup of Nations (AFCON) qualifier . Bafana Bafana head coach Stuart Baxter has named his 22-man squad to take on Libya in a crucial Africa Cup of Nations (AFCON) qualifier. The fixture is scheduled for Durban’s Moses Mabhida Stadium on Saturday, September 8. Kick-off is 3 pm. The squad is scheduled to assemble for camp this coming Sunday in Johannesburg before flying off to Durban on Monday. Goalkeepers: Itumeleng Khune (Kaizer Chiefs), Ronwen Williams (SuperSport United), Darren Keet (Wits). Defenders: Ramahlwe Mphahlele (Kaizer Chiefs), Motjeka Madisha (Mamelodi Sundowns), Siyanda Xulu (Maritzburg United), Innocent Maela (Orlando Pirates), Thulani Hlatshwayo, S’Fiso Hlanti, Buhle Mkhwanazi (all Wits). Midfielders: Dean Furman, Teboho Mokoena (all SuperSport United), Siphesihle Ndlovu (Maritzburg United), Hlompho Kekana, Sibusiso Vilakazi (Mamelodi Sundowns), Bongani Zungu (Amiens, France), Kamohelo Mokotjo (Brentford, England). Forwards: Themba Zwane (Mamelodi Sundowns), Keagan Dolly (Montpellier, France), Percy Tau (Royal Union, Belgium), Lebo Mothiba (Lille, France), Bradley Grobler (SuperSport United).